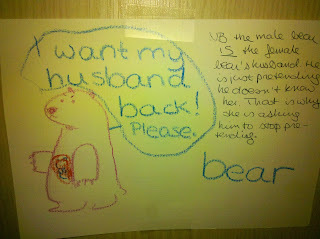 A bear has lost his (or her?) hat, and becomes increasingly despondent as none of the other woodland creatures have seen it. 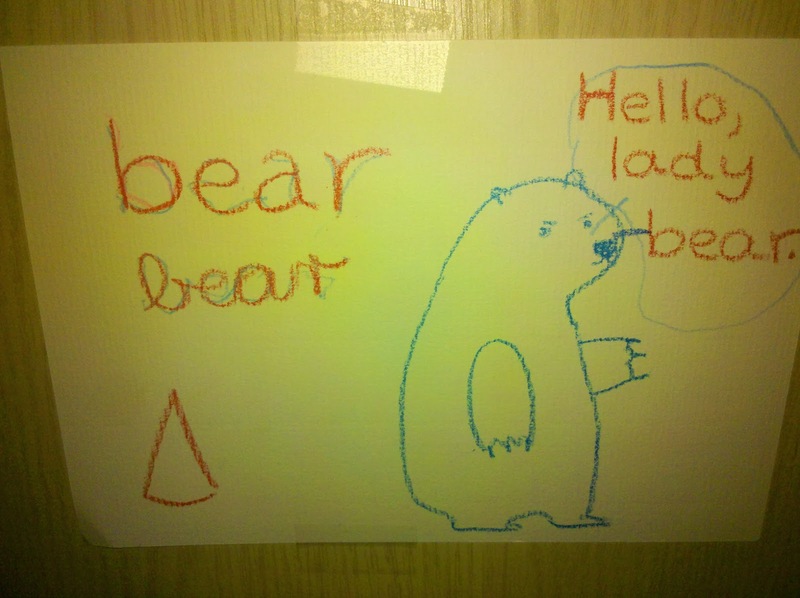 The bear's ultimate retribution is swift and draconian. I generally dislike book trailers (they often look amateurish and low-budget, and not in a cute way), but though this one gives away more than it should it's still one of the best I've seen. NB (added at Lee's insistence): The male bear IS the female bear's husband. He is just pretending that he doesn't know her. That is why she is asking him to stop pretending. 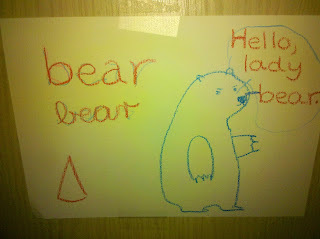 And yes, that is an ursine fetus in the female bear's belly. Otherwise, we've got the book memorized, and there were a few weeks when we'd playact or otherwise reference it pretty much every day. The book's appeal lies in its simplicity. The style is strikingly direct, but there's ever so much going on beneath the surface (almost Hemingwayesque, one might say) - I actually don't know if Lee would have understood the subtext of the ending if I hadn't discussed it with her. And, as a still-recovering lit major (though it's been eight years! ), I could project all sorts of meaning into the text. Is it a comment on the human condition, where good and evil sit next to each other (note how the bear helps out the tortoise trying to climb a rock - how does this reconcile with his later actions)? Is the bear's punishment justifiable, or the text a criticism of merciless vigilantism? 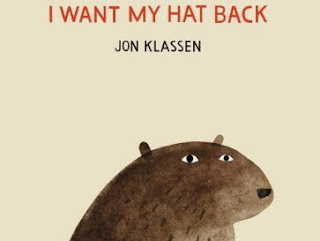 In short, it's one of the most perfect picture books I've come across.